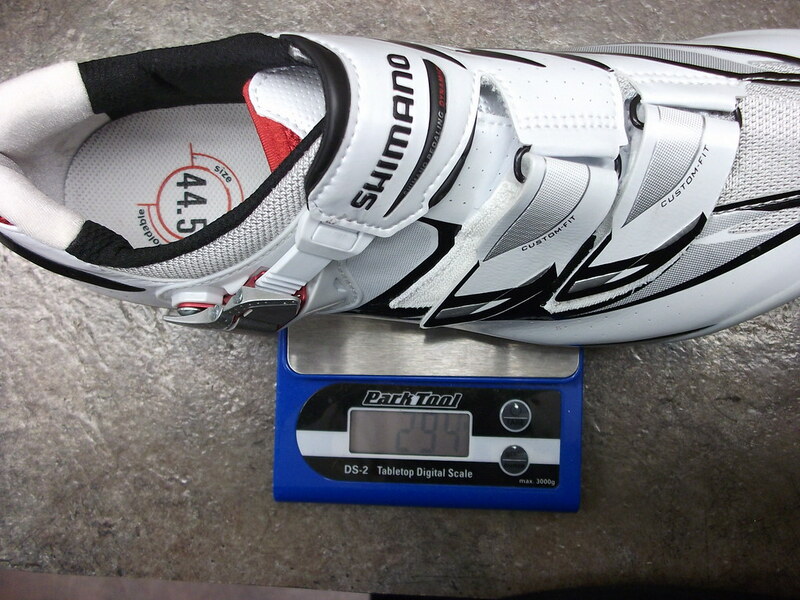 Product Review Shimano R315 Shoes and Swiftwick Socks – Recipe for Happy Feet! and you will have VERY happy feet for your ride. I just recently acquired a pair of Shimano R315’s. I absolutely love them. I’ve ridden Shimano shoes for the last 5 years. I had the R215 which was their highest end shoe before they offered their Custom Fit shoes. It was a good shoe. But once I starting using the R300 Custom Fit shoe I realized that the custom molding process could take things to another level… a higher level of comfort. As many of you that are frequent readers of my blog already know, I am an Ultra Cyclist. I do centuries and double centuries during the year as I prepare for my goal race the Furnace Creek 508. The Furnace Creek is a 508 mile non-stop bike race with 35,000 feet of climbing. I had always had painful “hot foot” during that race UNTIL I got the R300 Custom Fit shoes. The year I did that race with the R300 my feet felt great …considering. Next I owned the R310’s. I felt the toe box was a little narrow and didn’t feel as comfortable as the R300. But now that I own the R315’s I absolutely love them …oh wait I already said that. There are a lot of cycling shoe companies out there but for $380 I can’t think of a better value in a custom molded cycling shoe! The Shimano R315 is a must have for happy feet! 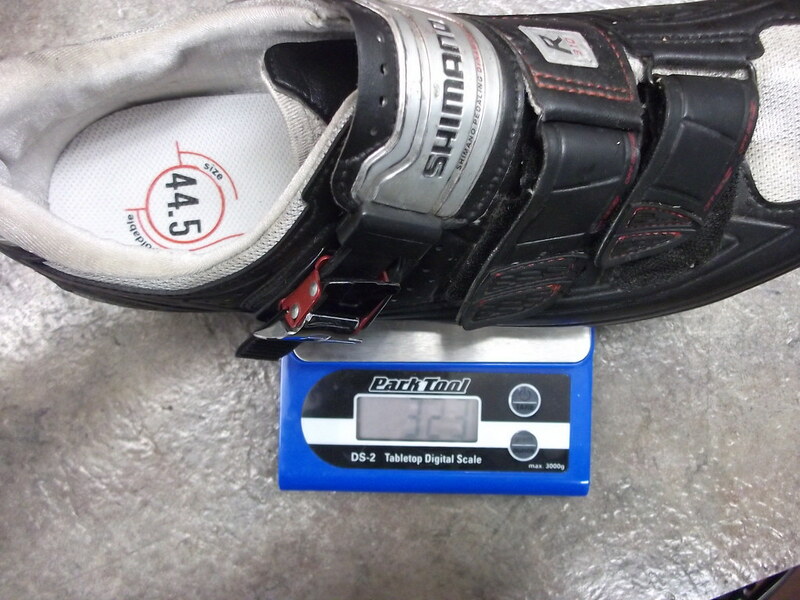 Fizik will soon make available the Sidas insoles. This is another absolutely must-have product for happy feet. The molding process is very fast. I actually thought nothing actually happened. But when I put the insoles in my shoes and rode with them for the first time I fell in love. The heel is very well reinforced. Sidas puts a felt pad under the most tender part of your foot and it provides an extra layer of protection against road vibration. And last but not least you need a high quality sock. Don’t be fooled …like I once was a sock is not just a sock. The Swiftwick socks are a very high quality sock made with a 200 needle process. I personally like tall socks and I like wool socks. So the Pursuit 7″ is my favorite sock in their line-up. If you’ve been reading my blog you know that I am a huge fan of Merino wool. It keeps your feet cool in the summer and warm in the winter. Here is where education is key. Many people only use wool in the winter months- what a shame. Wool breathes so well you should be wearing it year-round. I wear them at work because I love the footpad and I spend a lot of time on my feet. I wear them on the bike sure in the winter but most definitely in the summer as well. I even wear them when I race the Furnace Creek 508. The 508 mile non-stop race is held in October in the Mojave and Death Valley deserts. Would you believe that while I change my shorts every couple of hundred miles I don’t change my socks? Nope I put on a pair of Pursuit 7″ socks and they stay on for the duration of the 508 mile race approximately 38 hours!! Swiftwick socks are a must have for happy feet! There you have it my quick down and dirty product review of the Shimano R315, Sidas insoles and Swiftwick socks –the recipe for happy feet! I rate these three items 5 out of a possible 5 stars on the Epic Training scale of goodness. Great Read buddy keep up the good work. You have been spot on about everything you have recommended. Thanks for all your advice. I have recently purchased the Shimano WH-7850-SL wheels because of your recontamination and love them. You have gained a reader for life. Thank you for the feedback. I will only review things I absolutely love or absolutely don’t love. 😉 Thanks for reading my blog. I hope that you find other information valuable. I may take requests as well. Just a quick follow up. What shoe covers do you recommend? Thanks buddy. Thank you for your comment. Shoe covers… well that really is going to depend on where you live and what weather conditions you ride in. I live in Southern California where winter for us is a few weeks at low 30’s for the morning club ride and a few months at below 40’s. I typically wear wool socks and Defeet Slipstream covers. But that’s not really going to help in the rain of the Northwest or the bitter cold of the Midwest and Northeast parts of the country. I don’t buy anything more robust for my store because we just don’t need it here. If I think of something I make another comment.